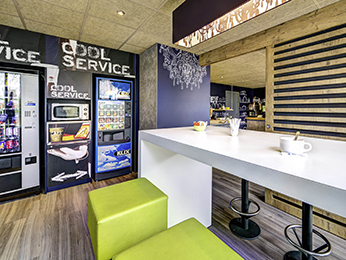 Feel welcome at one of the hotels offered by AccorHotels and our partners in Mondeville. Discover our selection of luxury to budget hotels in Mondeville for your next business trip, family holiday or weekend break in Mondeville. *The lowest prices over the next seven days. These prices may relate to different types of rooms. Depending on the country, these prices may be shown exclusive of tax, including VAT only, or with all taxes included (VAT and tourist tax included). Where prices are shown exclusive of all taxes, the taxes (VAT and/or tourist tax) will be specified during the next steps of the booking process. The price is only guaranteed at the time of booking. The hotel’s classification (1 to 5 stars in France) meets the criteria set by the local authorities.